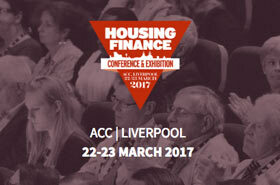 Finance Active will be in Liverpool the 22nd and 23rd of March at the Housing Finance Conference and Exhibition organised by the National Housing Federation. The opportunity for our Fintech company to present our debt management solution for Social Housing. Over 100 expert speakers, 50 sessions over 2 days, more than 12 hours of networking… This conference is one of the largest and most well respected finance event in social housing! The occasion to talk about various topics as FRS102, valuations, mergers, bonds, tax, pensions and how to thrive and innovate in the Real Estate & Social Housing industries. Finance Active delivers innovative debt management to a wide range of real estate companies in Europe (500+), Fairways Debt is a comprehensive and intelligent risk management solution with clear, reliable and objective financial information with the highest accuracy level. Fairways Debt enables financial managers to maximize financial performance, reduce risk and enhance operational efficiency, offering quick ROI. Finance Active’s solutions are state of the art SaaS solutions, offering best of breed user experience with ISO security and natively opened to accounting/property management systems.